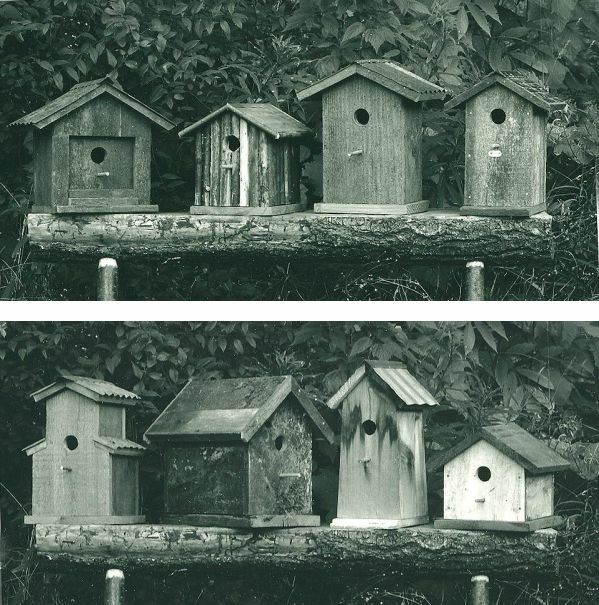 Back in the 90s I had the notion to start making birdhouses. 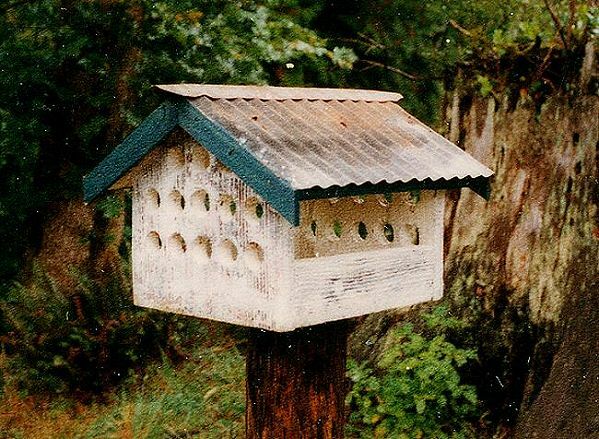 I thought it would be fun to use up some old wood I had laying around and do something good for the environment by promoting bird habitat. 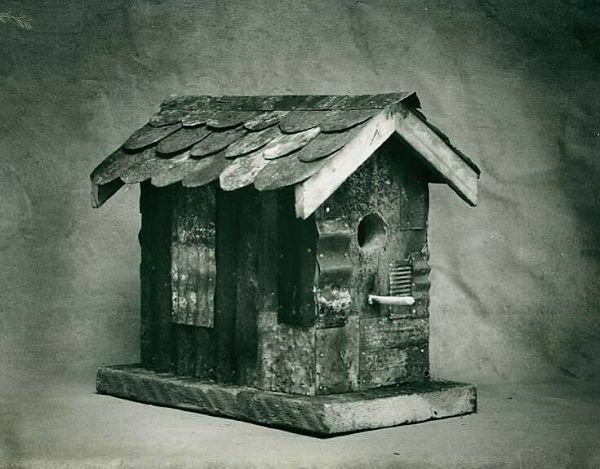 I liked the sculptural aspect as well and soon found my self imitating some of the old houses and barns of my childhood. 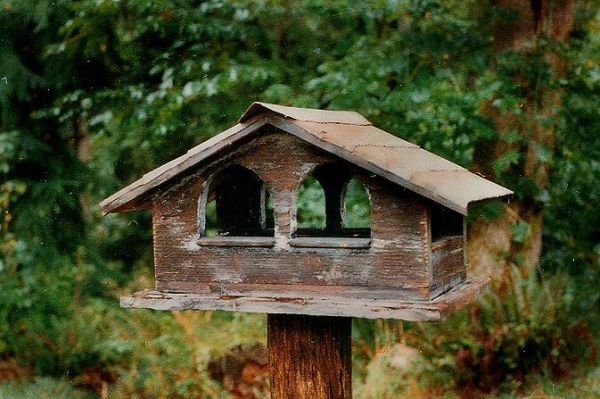 Every old building I saw was fodder for a birdhouse and the more I made, the more elaborate they became. 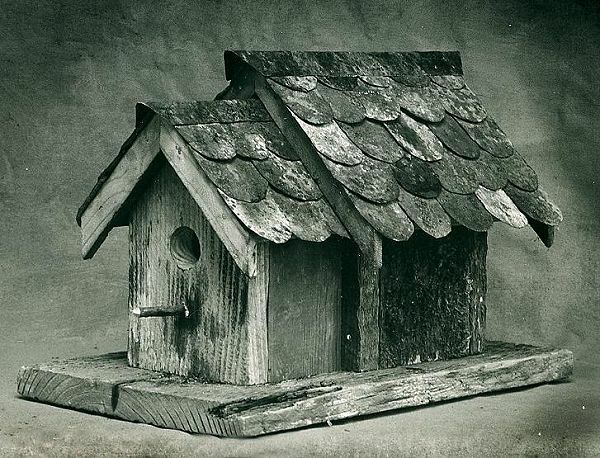 Wooden roofs became metal roofs and plain siding gave way to scalloped metal shingles. It was fun and I enjoyed the challenge. 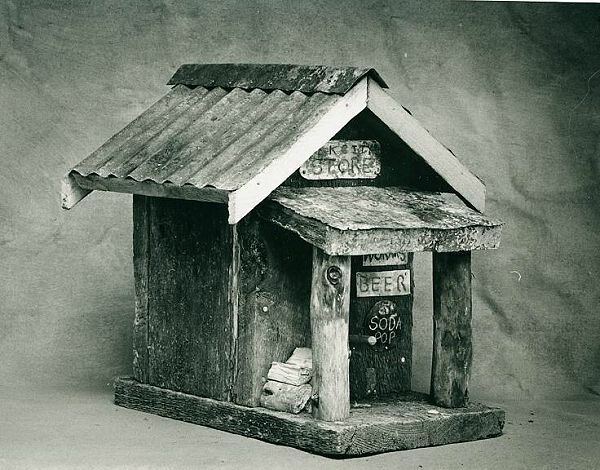 Somebody who owned a little folk art gallery in Ketchum, ID, saw them and started selling them. In this workshop you will build a basic wooden house and embellish it any way you want with metal, tree branches, paint, even collage. The possibilities are endless. No experience required. You’ll be helping the environment and providing a useful form of garden art. We will be working with Carla Dimitriou at her studio and wood workshop in Sammamish. Please bring your own tools and embellishments, your sketches, photos, or clippings to guide you. 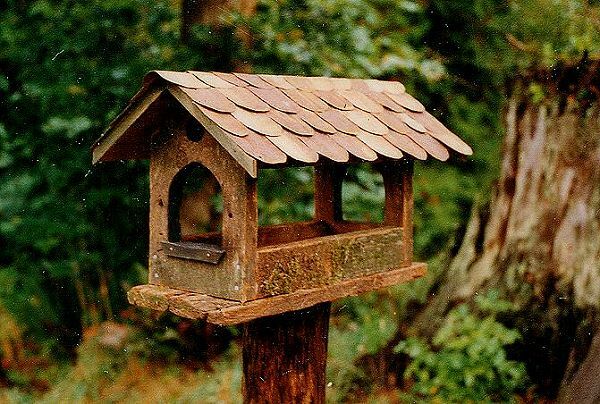 Carla and Larry will teach you how to cut the wood and put the birdhouse together. Wood, nails and hot glue will be provided. Please use the contact page to sign up.